Let’s face it, your refrigerator is one of the hardest working appliances in your home, doesn’t it deserve to be cleaned on a regular basis? I have to admit, I know this to be true but I do neglect to clean my fridge as often as I should. Sure, I do organize and try to keep things tidy in there but I don’t often empty the whole thing, and do a thorough cleanout and disinfection. The truth is, there are some pretty nasty things lurking in most fridges and some of these can even make you sick. 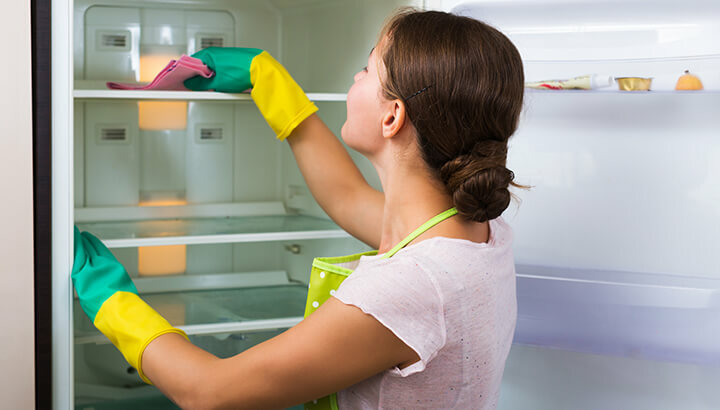 Truly, if not cleaned and properly maintained, your fridge could quickly become the dirtiest place in your kitchen. What is lurking in your fridge? 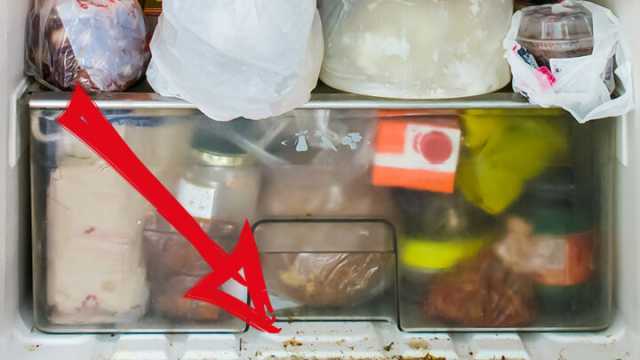 According to researchers from Microban Europe, there could be plethora of dangerous bugs lurking inside the salad drawer in your fridge, including salmonella, listeria and E. coli. This contradicts the whole purpose of a fridge, which is to keep food safe and reduce the chance of bacteria and mold. It is important to note that foodborne diseases are a major cause of illness and death in the United States. In 2011, the Centers for Disease Control and Prevention (CDC) noted that there were over 48 million foodborne illnesses each year. To break this down, this means that one of every six people becomes sick from food each year. In 2011 there were over 128,000 hospitalizations and 3,000 deaths due to food illness. How jam-packed is your refrigerator? If your fridge is like mine, it is generally pretty packed with food. This includes fresh food, leftovers and condiments alike. It is important to keep in mind that the more packed your fridge is, the less air is circulating. Once your fridge becomes less efficient, it opens up the door for bacteria to breed. Remember to try to keep space between your food in the fridge and also space on top and below, if possible. This will minimize the risk of an outbreak occurring. Make sure the foods in your refrigerator have room. Keep the fridge door shut: Leaving the door to your fridge open for too long allows warm air to enter and this can promote bacterial growth. Be sure to only open the fridge for a minimal time whenever possible. If you have children who love to open the fridge door and just stare until they decide what they want, make it a point to encourage them to decide before opening the fridge. 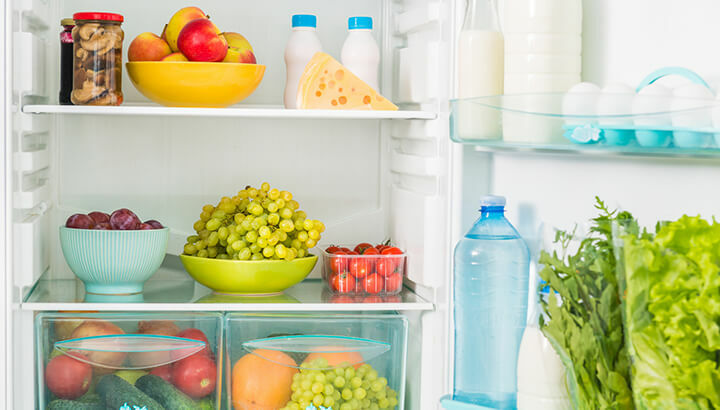 Keep certain foods separate from each other: Believe it or not, there are certain foods that don’t do so well next to each other in your fridge. Always keep raw and cooked meats apart. Raw meat contains bacteria, so be sure that it stays on the bottom shelf. This ensures that blood and juices don’t drip on other food. Make sure that raw meat is also well covered. Keep your fridge at the correct temperature: Keeping your fridge and freezer at the ideal temperature will help prohibit bacteria from forming. The best temperature for your fridge is at or below 40°F and the freezer should be 0°F. Rotate your food: Always be aware of dates on food in your fridge and keep things rotated. We have a tendency to put newer items in the front, so always be cautious of expired items. This also includes leftovers that have been sitting there for too long. Expired food is a perfect breeding ground for bacteria. Wipe up any spills immediately: It is easy for things to spill in the fridge but it’s very important to wipe up these spills immediately. Doing so will help prevent any cross contamination. Wash all fruit and veggies before putting them in the fridge: Always wash your fruit and veggies before putting them in the fridge. This will help eliminate the spread of bacteria. While your veggie drawers may not look dirty, don’t let this fool you. According to scientists, your drawers may contain up to 8,000 bacteria per square centimeter of space. That’s 75 times the level of bacteria that is considered safe for humans! That is a lot of bacteria in a very small space. Clean your refrigerator with a natural solution of vinegar and essential oils. Mix two parts hot water and one part white vinegar in a glass spray bottle. Add five drops each of lemon, orange and tea tree essential oil. Spray the mixture inside your empty fridge and let it sit for a few minutes. Wipe with a clean cloth. You may not be able to totally rid your fridge of all bacteria. But, keeping it clean and well maintained will go long way in protecting your health and the health of your family members! Hey Buddy!, I found this information for you: "Your Fridge Could Be The Dirtiest Place In Your Kitchen — Here’s Why". Here is the website link: https://www.thealternativedaily.com/reasons-to-clean-your-refrigerator/. Thank you.